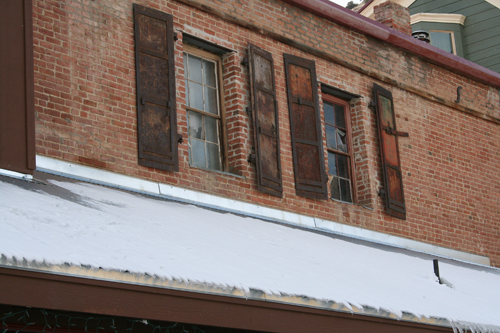 The Werrin Building stands on the south end of Virginia City’s main street and dates to 1873. John Werrin was a grocer from Cornwall, and his business stood on the edge of what was a Cornish neighborhood. While the main floor provided space for his business, the upper story was a lodging house. 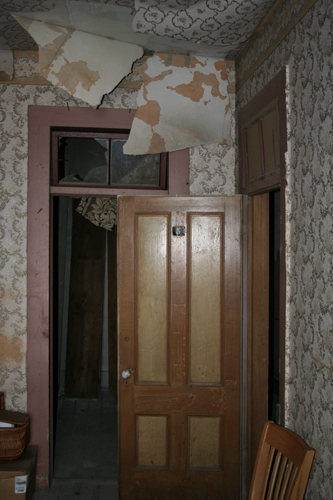 Virginia City’s declining prosperity during the 1880s caused the boarding house to be abandoned while the main floor saw various uses over the subsequent decades. Apartments consisted of one or two rooms. Some had windows while others did not. 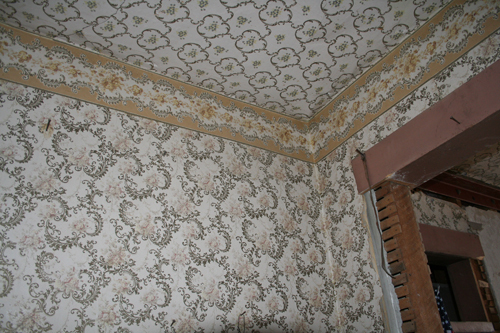 There is considerable variation in wallpapering, so presumably each tenant could decorate according to taste. 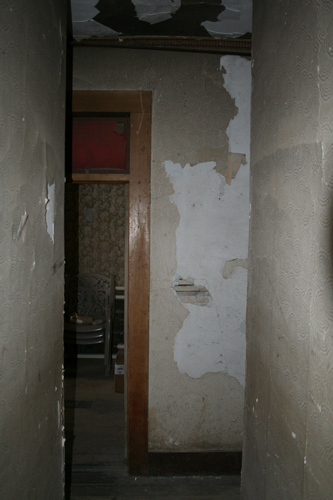 Access to a communal privy in the back was down the central hallway. Today the main floor serves as home for the popular restaurant “Café del Rio,” but the second-story lodging house remains largely as it was in the 1880s. Original room configurations, paint, and wall paper survive to convey the feeling of a domestic space in the nineteenth-century. Perhaps as many as half of Virginia City’s residents in the 1870s rented apartments or rooms in houses. Up to 10,000 people lived in the core of town, tightly packed in an urban setting, contrary to the popular image of a spread-out, western mining boomtown. Many others, however, owned single-family houses. John Werrin, for example, lived with his wife and children in a home three blocks above his store and apartments. 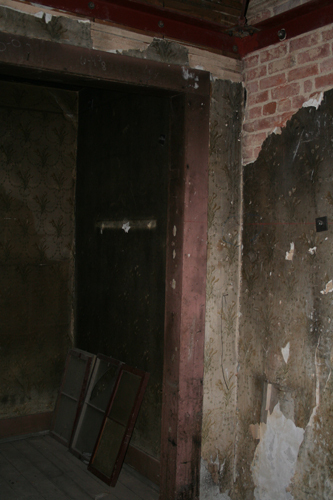 The attached media gallery offers the opportunity to walk through the Werrin Lodging House and to step back into time. Photographs and text by Ronald M. James. Fred Wise, born in 1907 and living in the Werrin Building with his family, documented every quarter inch of growth during what may have been his tenth year in 1917. He was roughly four feet seven inches. The Wise family may have been one of the last occupants of the apartment building. 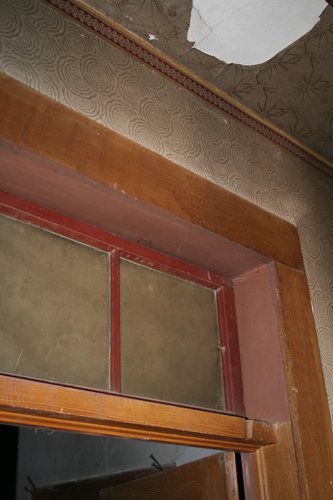 Residents in the 1870s and 80s once peered out these windows from humble apartments. Steel shutters protected against fire but could also help prevent winter drafts. Today they survive as silent portals, offering a glimpse into a past way of life. Exquisite wallpaper patterns survive, demonstrating a range of tastes and fashion. Transoms opened onto the hallway to provide ventilation during hot summer days. Varieties of wall papers, trims, and paint colors were used in juxtaposition. 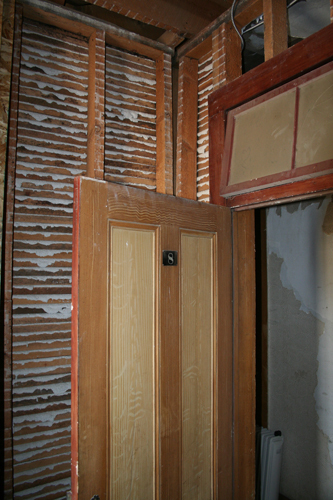 In places where subsequent owners have removed the plaster walls, it is possible to see the lathe-and-plaster construction of the interior walls. 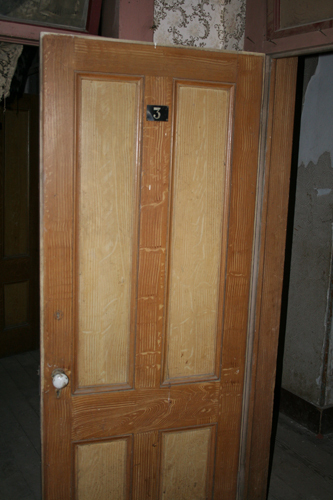 Wood graining, a type of paint applied to simulate wood, gave a cheap pine door the appearance of oak. Other door frames were painted red. Here, wallpaper features a pattern of branches with leaves. 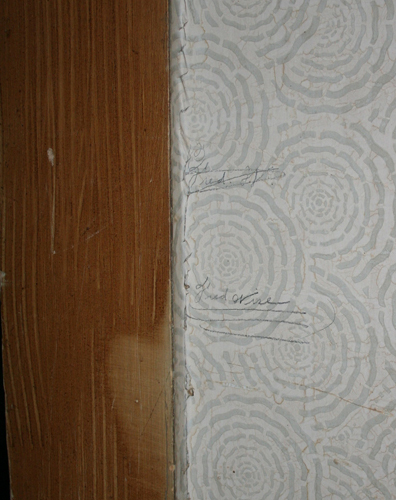 A leaking roof has caused wallpaper to peel away in spots. In this apartment, a door separated the two rooms. A curtain, now hanging limply, covered the transom for additional privacy. 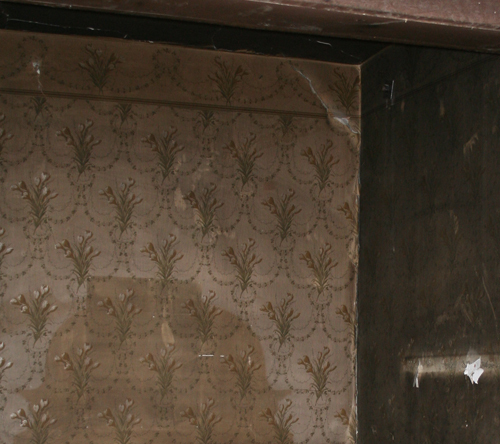 Wallpaper featuring a delicate floral pattern is typical of the designs used in the rooms. A two-room apartment offered little space and only a partial wall to separate the rooms. A curtain may have hung at this point for privacy. Plaster covered brick walls but is falling away in spots. Walking down a narrow, dark hall led residents to the apartments. A central hallway ran down the axis of the second floor, with doors opening on either side to rooms. 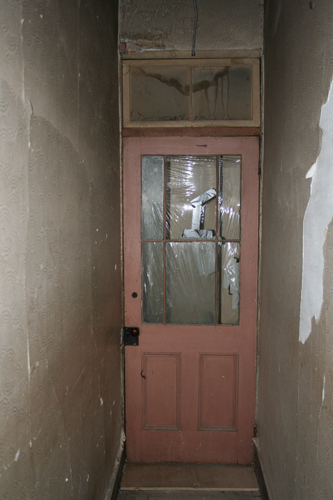 The doorway to the upstairs residences has suffered with time. Plastic and duct tape keep the cold from descending to the restaurant below. 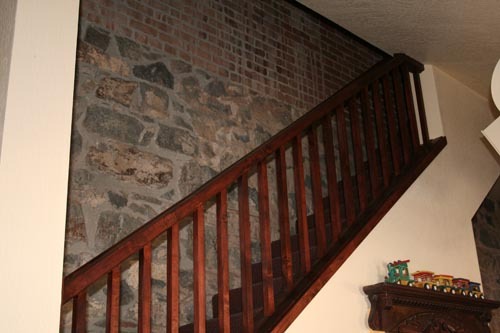 A staircase leads past the stone and brick wall to the entrance of the lodging house.